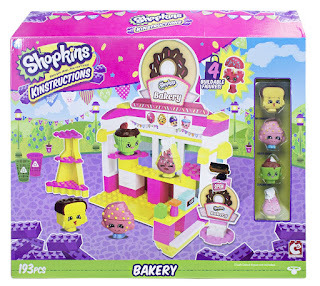 Savvy Spending: Amazon: Shopkins Kinstructions Bakery Building Blocks Set for just $8 (reg. $20)! Amazon: Shopkins Kinstructions Bakery Building Blocks Set for just $8 (reg. $20)! Amazon has this Shopkins Kinstructions Bakery Building Blocks Set for only $8 (regularly $19.99). This set features 193 pieces that allow kids to build 4 different figures.